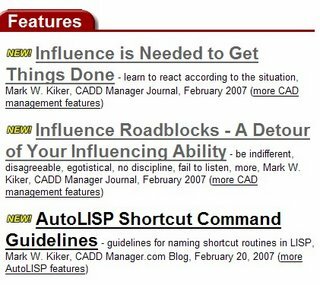 Today CAD Digest (one of my favorite places to go to find the latest CAD info) posted three of my articles on the home page. That is a first for me. 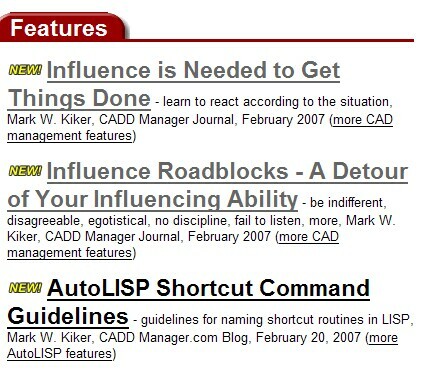 If you have not discovered CAD Digest  or TenLinks  you need to get out more often. Take a look at them on a regular basis – they are a gold mine and a silver mine. You decide which is which.